Please join me in congratulating Professors Jerry Jarvik and Chun Yuan for receiving the 2016 Distinguished Investigator Awards from the Academy of Radiology Research. Jerry Jarvik, M.D. Chun Yuan, Ph.D. The ARR was created in 1995 to raise awareness of the value of imaging research and its impact on patient care. The Distinguished Investigator Awards were started in 2012 to acknowledge and celebrate high levels of achievement in radiology research. 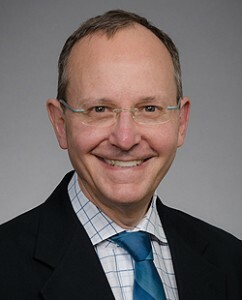 “The recipients of this Award have made significant contributions to the field of imaging research that rank them in the top 10% of Radiology Department faculty nationwide,” remarked Reed A. Omary, MD, MS, the Co-Chair of the Academy’s Distinguished Investigator Council.” said Reed Omary,Co-Chair of the Academy’s Distinguished Investigator Council, who isa also the Carol D. and Henry P. Pendergrass Professor and Chair of Radiology at Vanderbilt University. Dr. Jerry Jarvik’s and Dr. Chun Yuan’s Distinguished Investigator Award Ceremony at RSNA.